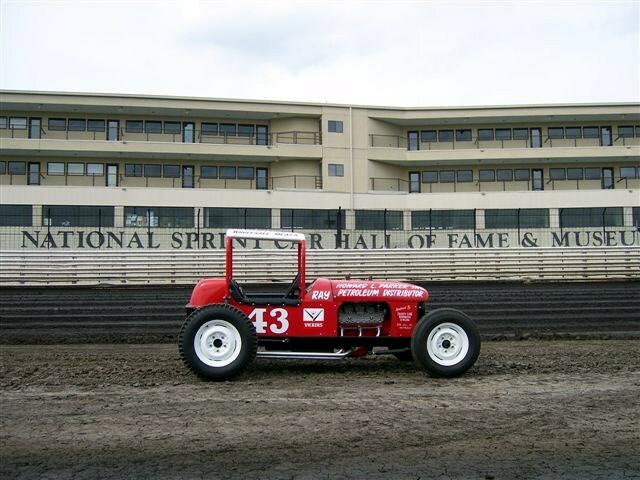 The Pius Selenke #43 rail was built in 1961 and raced till 1963. 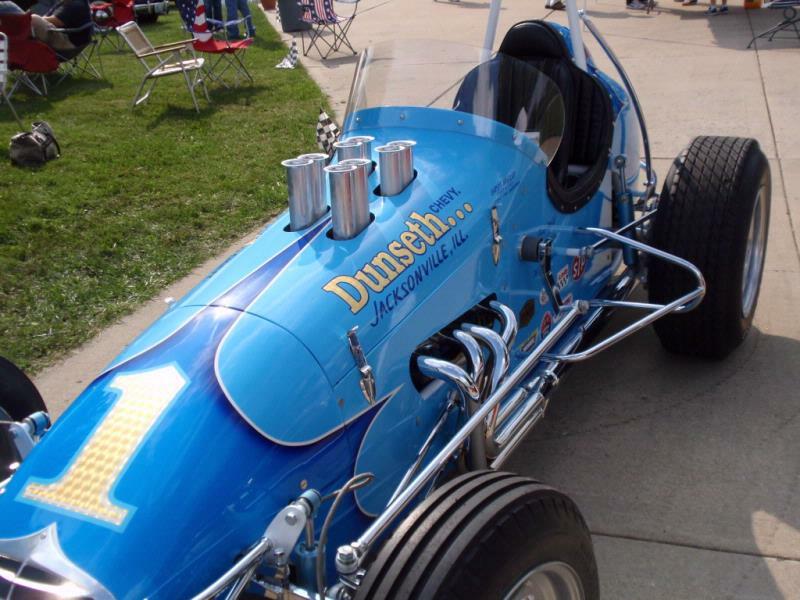 Charley Hiner and Ray Riner drove it. It sat in the north end of Wichita for 30 plus years. It was found 2 years ago. It's powered by a big flathead Mercury. Just another restoration by Dwane Wolf who also found it. 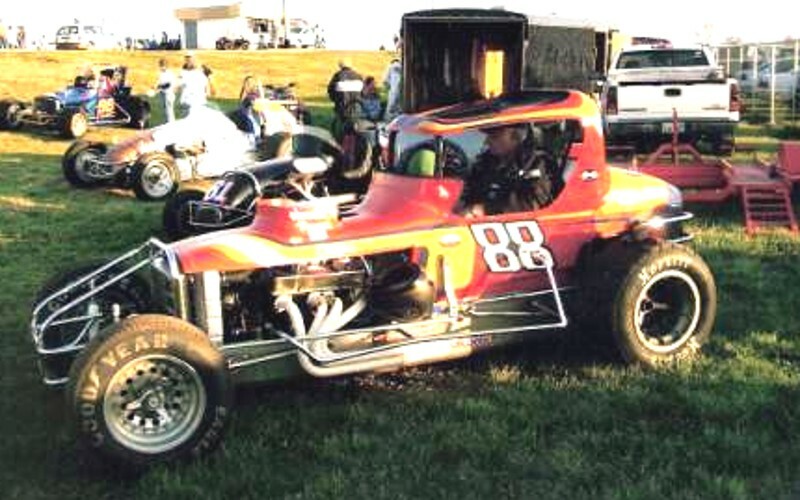 The #88 as it sets in the pits at Mid America Speedway in South Coffeyville OK in 2007. This 100" super was owned by Danny & Naomi King of Jetmore, KS in 70's. Dave Frusher, Terry Uehling, Randy Jones, Jon Johnson and others piloted the #88. Photo contributed to RFTP by Allen Classen. 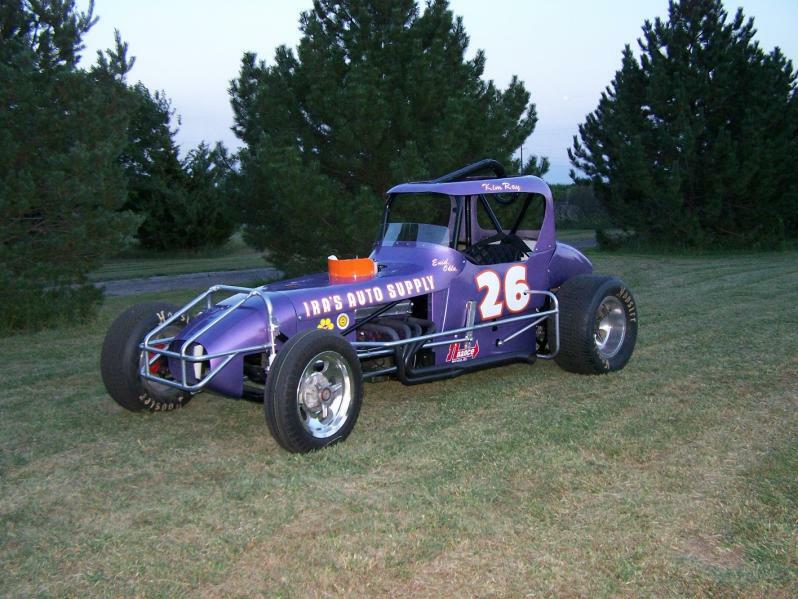 Super out of Enid, Oklahoma built and raced by Larry Melvin. 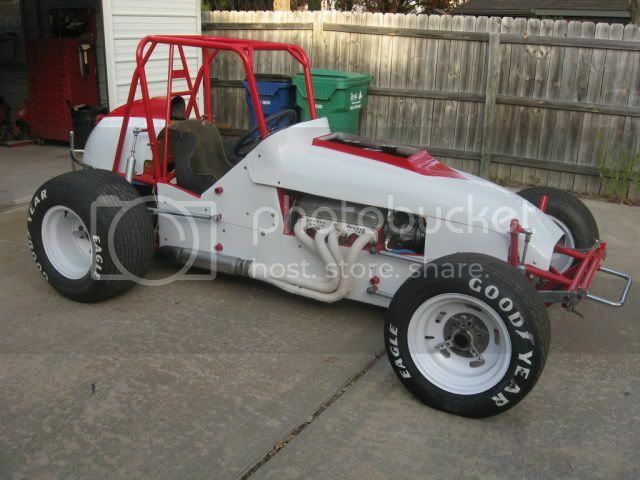 The chassis is a Nance kit and the body is a Nance also. 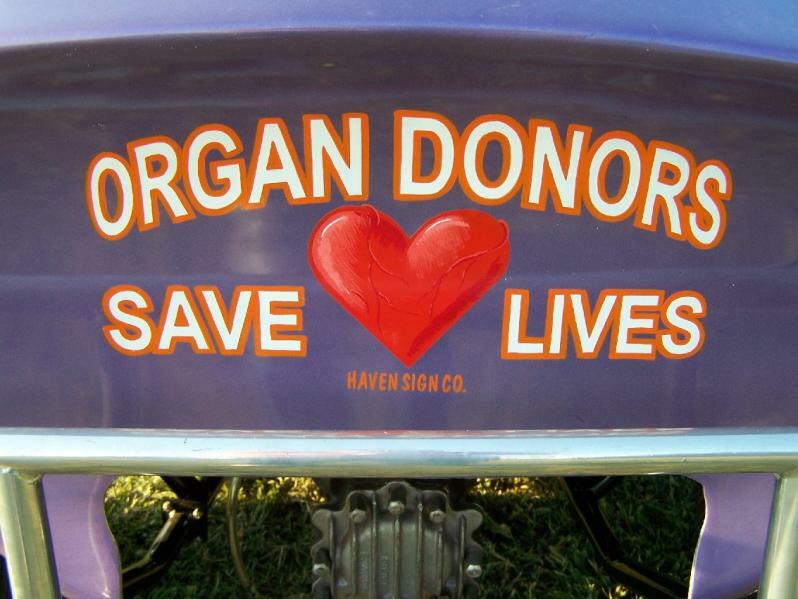 One of my nurses from SICU who took care of me after my heart transplant owns Haven Sign in Haven, KS and he did the hand lettering for me. This car is with a clean slate as far as anyone knows. 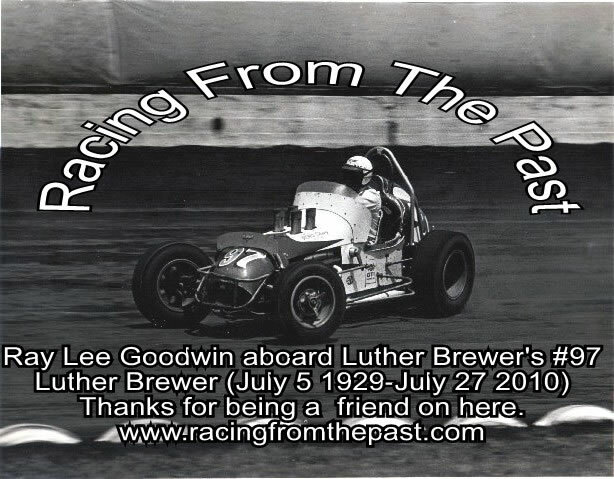 It has been brought up it might have been a 6-cylinder car from MO. These days Harold Lindsey is getting it back in shape. Details coming when it is finished. Jiggs Founds of Amarillo is getting his '76 Nance in better than new form. Jiggs was in a bit of a quandry trying to decide what colors he should go back with after doing such an artful restoration on this car. It was maybe better known as the orange and white #7 of Eugene Hair. But then Jiggs wanted to honor his Father, who passed away in the early 70's(?). He really considered HIS own colors last on the list. He was leaning more to honoring his late Father. 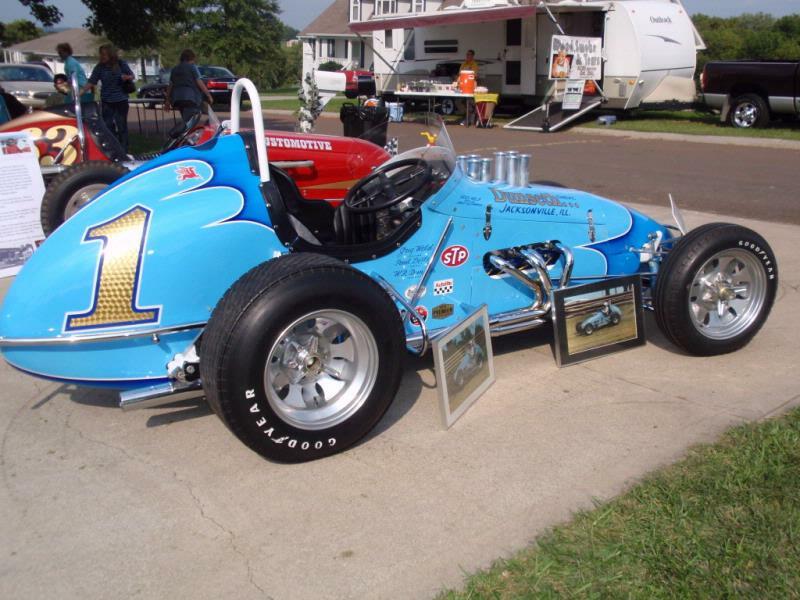 Like many have to do, Jiggs sold this car I believe in the late 70's(? ), BUT he got it back in 1984! He promptly put her in storage saving it from damage all those years. With all due respect to Eugene Hair, it was suggested Jiggs ought to paint it in the colors JIGGS FOUNDS drove it and here's why- Jiggs is very proud of his Dad, and his Dad was proud of Jiggs. Jiggs being an extension of the senoir Mr. Founds, and Jiggs being a known driver even 200 miles outside of Amarillo, representing the Founds namesake, could show a little pride in his own efforts and paint it in like drove it. That's what ANY good Dad would want their son to do. The Jiggs name is still on there, and it is a fine restoration that puts a few of us at a loss of words. It raises the bar, it's almost a shame to paint that bare aluminum tail. It is legit. Usually I only post cars from our region, but in the next few pages I'll put some of what else I've been seeing. Jiggs Founds 69 is done and ready. Does anybody know any thing about this car? 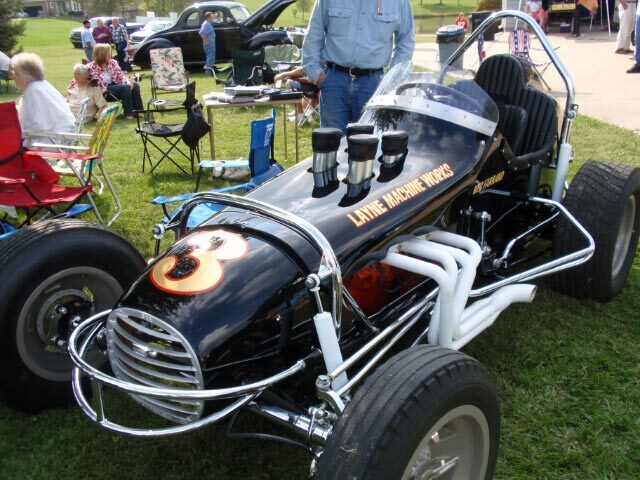 John Doles and Bill Doles, this car ran in SE Ok and NE Texas back in the 50s or 60s. '34 Plymouth. Note the hook for the gearshift.